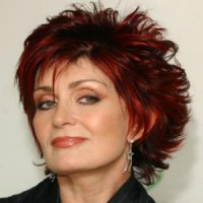 Sharon Osbourne is a fighter. After having successfully batted against colon cancer about ten years ago, she’s not afraid to make health changes to continue fighting off cancer. Osbourne had learned that she had carried a gene in her body that predisposed her to having breast cancer. In a response to this, she decided to go through a double mastectomy. In a recent interview with Hello! Magazine, Osbourne revealed that as soon as she found out about the gene, she immediately thought that the odds were not looking good for her. She thought that she no longer wanted to experience what she went through in the past. This was what made her decide to have both her breasts removed. She said in her interview, “I decided to just take everything off”. The operation went on for 13 hours and happened sometime last summer. This was confirmed by a representative of the Osbourne family. Also in the interview, “The Talk” co-host said that her problems had started with a leaking breast implant. Making the decision was not really a big deal for her as she would want to “be around for a long time and be a grandmother to Pearl”. She and husband Ozzy Osbourne had just become grandparents this year as son Jack and his wife Lisa welcomed their 6-month old daughter this year. Sharon thinks that having her breasts removed was not “pity her”.